A vacation rental is both a fun place to stay and an investment opportunity. And a part of that responsibility is ensuring that you run your business smoothly. When you own a vacation rental, you want to have good cash flow, avoid tax penalties, stay organized, have a great presentation, minimize risk and ensure your customers are satisfied. That is the real question when you start a vacation rental. This is a personal and legal decision. In my experience, I do not worry about having an LLC with only one home. With one home, it is unlikely you will have enough cash flow to recover the costs of the LLC fees. Regardless of whether you choose sole proprietorship or LLC, it is important that you have at least a $1 million liability insurance on your property. Make sure that your property is safe and clean to prevent injury. Once you have two or more properties, I suggest you split them into LLCs for every two or three homes based upon value and risk. This protects your assets and your investment. Regardless, speak with your attorney or tax advisor about the best business set up for you. I can only speak to my experience — I cannot provide you with legal advice. Separating your business into it’s own checking account helps you to properly record and report your income and expenses. It can also help you to maximize your tax advantages. You may also want to use a different bank or credit union than you use for your personal purchases. This is what I did to help prevent any commingling of personal and business funds. Unless you setup an LLC or establish a DBA for a sole proprietorship, you will not be able to open a business account, but you do not need to. You just need to make sure that you keep your accounts separate. At tax time, you can make tax entries easy for your accountant or for yourself with TurboTax online. Not sure how that works? Read on. For most of you reading this, your vacation rental is classified as a passive income business. That means that you will only write off the expenses against passive income (i.e. your vacation rental income). Setting up a dedicated checking account is more important than just making your accountant happy, it also allows you to properly classify your expenses. The options for accounting and budget tracking tools are seemingly endless like Mint (which I use for my personal accounts), Fudget, BillGuard, YNAB and more. For my vacation rental, I now use an app I love called Hurdlr that offers ‘simple financials for entrepreneurs’. The app connects directly to your bank account. The application then syncs transactions providing you with notifications to categorize and log each expense. The best part? You can do all of this right from your mobile device and the app is free to use! As you enter in data, the application learns what transactions to associate with specific categories. You can easily modify any necessary changes. You can also take a photo of your receipts, save and attach to your transaction. A much more efficient strategy than stuffing them in your shoebox! If you want to effectively advertise your vacation rental, you MUST use professional photos. When you look at a hotel or home for sale, do you want to see photos taken on a cell phone? Get professional photography. Just do it. One reason I like Evolve Vacation Rental is because the service will pay for your professional photos when you sign up! My only warning is to pay attention to the editing of the photos as some of the photos can make the rooms appear larger which could result in poor reviews later on. Anytime that you use third-party booking agencies like VRBO and AirBNB, review your listings at least once per month. It can help you find errors, address changes, update rates or notice that some entries are not showing correctly. So check your listings out regularly, and address any issues/changes immediately. Individuals and businesses alike are subjected to taxes and permits. Vacation rentals are frequently required to also collect a transient occupancy tax (TOT). In my experience, the County ties this tax to a permit that I file yearly. This permit allows me to own and rent my vacation home legally at a rate of 10% of nightly rent, plus cleaning fees (this is passed onto the guest). The process only takes me 30 minutes each quarter and consists of running a report of my bookings. Then, I write a check to the tax assessor and drop it in the mail. If filing or collecting these permits/taxes is not something you are comfortable with, there are companies that will handle the entire process for you. One such company, MyLodgeTax, will do so for around $10 per month. 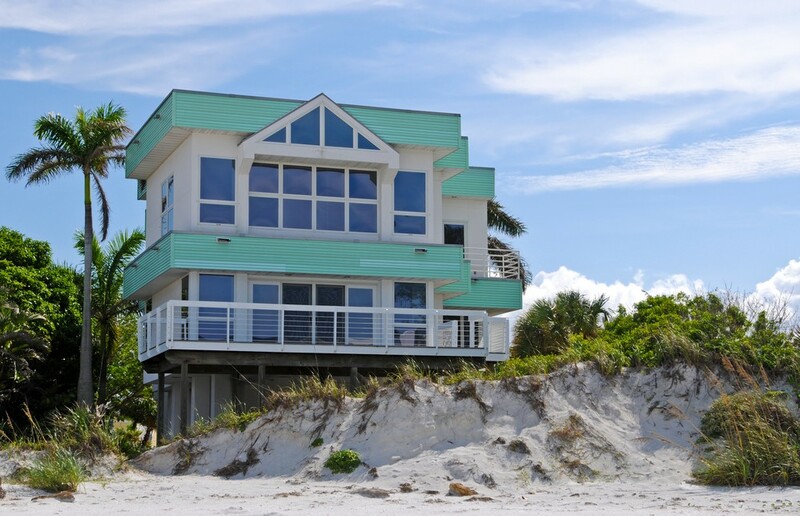 Insurance is another must have for your vacation rental. Insurance protects you, your property and your guests in the event of an accident. If you are not properly insured, you can be held personally liable for any claims made against the property (even if you have an LLC). I use a $1 million liability rider on my VR insurance policy. You should know that most insurance companies will not allow you to apply this to your personal umbrella policy. You will most likely have to pay it as an extension to the specific property for a few hundred dollars a year. Since I use Evolve, they offer an additional $1 million liability coverage with all their bookings which was a great ancillary benefit to using them. The section for House Rules is where we choose to place the policies specific to our property. Things like where guests can smoke, where they can’t smoke, and the fine if they are caught smoking there! We also include rules and policies on pets, occupancy and type of use (no wild parties in our VR). No matter what you do, from time to time, guests will have an issue while they stay in your vacation rental. Any time you have an issue, you should follow the basics of customer service. The first of these is to apologize or acknowledge. The customer wants you to listen and understand their concerns. Do not argue with them. This is the time to listen. If they are upset, take time to reflect back their questions (i.e. What I hearing you saying is…). Listening and empathy can go far with an upset guest. The next step is to correct. Do what it takes to address and resolve their concern. In some cases this is a repair, in others it is a delivery, and in other cases you may have to provide some kind of compensation. For those guests who have actually had their experience diminished by their complaint(s) with their stay, I will often reach out to them directly with an apology email and offer a deeply discounted stay in the future if they would give us the opportunity to make it right with them. The last step is to thank them. Thank them for bringing the issue to your attention to make your vacation rental the best experience for all future guests. Great reviews result in more stays. That is why you should reach out to all of your guests post-stay to ask them to give you an honest review of your property. As long as you provide a clean, safe and as-promised rental experience for your guests, you should welcome as many reviews as possible. This will not only continue to give you the insights you need to keep your VR running effectively but also stacks good reviews on the older bad ones pushing them down the list from potential renters eyes. Review requests can be mentioned during the stay in the guide book at your property, in a post-stay email, or for an added touch, via a handwritten thank you card that you mail to the guest at a later date.